Happy Chinese New Year! Are you ready for yet another celebration? These festivities go on for almost a month and red is the magic colour. This is the ‘Year of the Pig’ which symbolises wealth. In China, every year has a zodiac animal, the cycle repeats every 12 years, making it easy to figure out whether it’s your year or not. Just check your age in multiples of 12. For the Chinese, the Spring Festival is the most important celebration of the entire year, similar to Christmas for us westerners. It marks the coming of Spring and all the excitement and joy of new beginnings. Unlike Christmas in this part of the world, Chinese New Year is a movable feast, predicated by the Lunar rather than the Gregorian calendar. 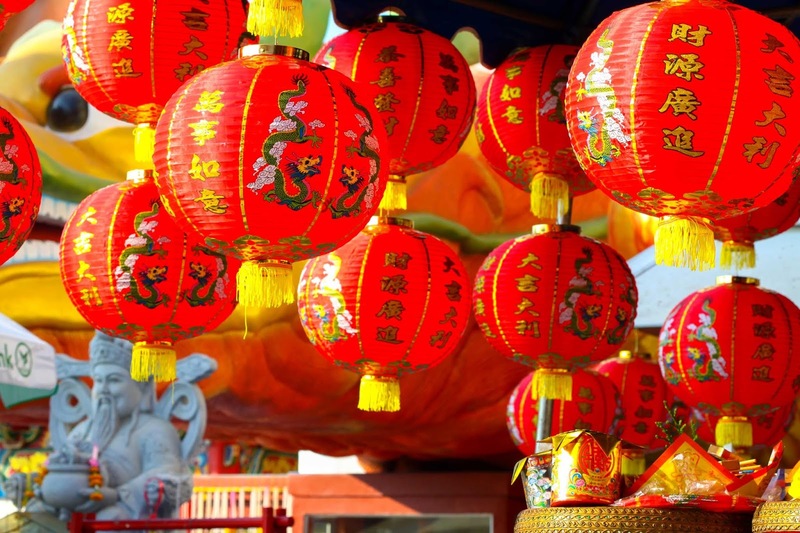 Technically it’s the longest Chinese holiday, celebrated by over 20% of the world’s population – how amazing is that! The most significant element of the holiday is the family reunion which triggers the largest human migration in the entire world. Millions of diligent hard working people, young and old, who now live in cities, travel home to rural areas to get together with their elderly parents. Lively music and dance plus copious quantities of delicious food are important elements of the festivities. There are spectacular parades in Chinatowns all over the world - traditional lion and unicorn dances, dragon parades, bell ringing and lots of fun and fireworks. Children receive gifts of red envelopes stuffed with lucky money. The feasting and excitement will continue until the Lantern Festival, the 15th day of the Chinese New Year – the first new moon of the Lunar year so you’ll see lots of red lanterns in all shapes and sizes, widely available in Asian shops, if you want to have fun and enter into the spirit…. A myriad of superstitions are attached to the New Year…People ‘spring clean’ the house on the day before Chinese New Year to sweep away bad luck and make way for good vibes. There are celebrations in Dublin, Cork, and Belfast. Cork which has been twinned with Shanghai since 2005, hosted its first Chinese New Year Festival on February 4th. Many iconic buildings around the world, including the Mansion House in Dublin and City Hall in Cork are illuminated in red to mark the beginning of Chinese New Year. Lots of foods are associated with Chinese New Year, particularly dumplings. Spring rolls are universally loved, easy to make and when fried resemble gold bars. Each food is symbolic in some way, long noodles symbolise longevity…Citrus are also considered to be lucky. Several festive desserts are also much loved, Tangyuan a type of rice ball, sounds like reunion in Chinese so they are favourites. As is Nian Gao, a type of rice cake which symbolises success. Fa gao – is a hybrid of a muffin and a sponge cake, the name means ‘get rich’ so everyone wants some of those too. Some of these desserts can be an acquired taste for non-Chinese but if you get an opportunity, do taste them. 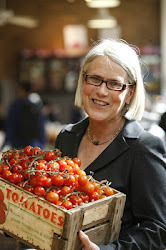 I’ve been to China several times, so I’m even more excited about Chinese New Year and am planning a little Chinese feast to celebrate. Those who are born in the Year of the Pig, may want to check out the Chinese zodiac. Your lucky numbers are 2, 5 and 8, Lucky colours are yellow, grey, brown and gold and lucky directions are southeast and northeast…how about that…. Seek out your local Chinese restaurant, better still invite a few friends around to enjoy a home cooked Chinese meal, and don’t forget to wish our Chinese friends ‘In Nian Kuai le’ – ‘Happy New Year’. 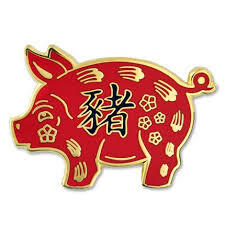 Enjoy and Happy New Year of the - Pig the symbol of wealth. All vehicles are produced newly and if any technical problem happens , we will provide customer service less than 45 minutes anywhere. In additional , if the problem is not fixable , we will change the car less than 24 hours. All of these services are free . It flabbergasts me how a whole nation can have a month off, and still have a quickly developing economy. Be that as it may, better believe it, as a essay assignment help buyer, this implies I can just dependably request items from China like 10 months out of the year.